Oriental Insurance Company is basically a public sector general insurance firm in India. This company has its headquarters in New Delhi. Apart from that, it runs almost 31 regional offices and around 1800+ branches in different parts of India. It also has its offices in Kuwait, Nepal and Dubai as well. The Company has around 14,000+ employees. Oriental Insurance was established on 12 September 1947 as a public sector general insurance company. It is a complete subsidiary of Oriental Government Security Life Assurance Company Ltd. It caters into almost every part of the general insurance sector. At the time of nationalization of insurance business in India in 1956, it became a part of Life insurance Corporation and they worked together till 1973. Moving forward, in 1973, Oriental became a subsidiary of General Insurance Corporation of India till 2003 when it was de-linked from parent firm and start running as an independent company. In 2003, the union government of India acquired all the company's shares from the General Insurance Corporation of India. The company has had a great track record of running a smooth and gainful business. The company has qualified and trained teams and has several different types of insurance plans that cover a rural and urban area as well. As per the Solvency Margin mandated by IRDA, the company had a Solvency Margin of 1.68 as on 31st March 2015. The organization is not only the IT friendly; however, it is also technology savvy. An incorporated non-life insurance software (INLIAS) has been applied in all the workplaces. This will make certain that are customer support parameters grow through leaps and bounds. The Oriental insurance agency has been getting the best rating from leading Indian credit rating groups CRISIL and ICRA. The organization has additionally been rated as A++(excellent) via AM Best, a global score corporation. As discussed earlier, the company caters into almost every aspect of general insurance that includes health, motor, travel and so on. The business enterprise gives unique plans under every section of general insurance. There are numerous categories into which the coverage plans are divided which includes health insurance, property and car insurance, rural coverage section that provides comprehensive protection against natural disasters for agriculture and rural economies among others. Medical health insurance is coverage with respect to the issue of rising medical expenses among individuals. Under the medical health insurance coverage, a person does no longer have to worry about the heavy expenses that may arise during hospitalization as the insurer will pay for maximum fees associated with the treatment. Under this, the company has several useful policies that could cover your vehicle comprehensively. Motor insurance helps you in getting comprehensive and third party liability cover as well. Other than those popular segments, the corporation also has its presence in rural insurance, industrial threat insurance and business threat cover as well. Oriental motor insurance is a one stop for all car insurance and two wheeler insurance requirements. Oriental car insurance will offer complete cover and the two wheeler insurance policy will take care of your bike insurance needs. 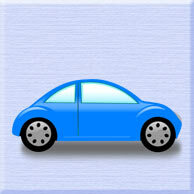 Oriental Car Insurance plan carry solutions for all car insurance needs. The company offers a wide range of motor insurance products to match different requirements of customers. 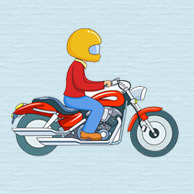 Oriental Two Wheeler - A complete motor insurance policy with the benefit of liability coverage at an affordable price. This plan basically offers complete coverage to you and your vehicle. Liability to third parties, Personal accident cover to owner driver. One more effective package policy for your car. This plan basically covers your car against theft, damages that take place because of any natural or man-made calamities. 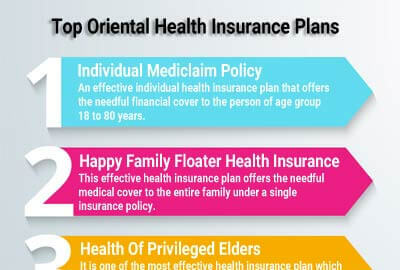 Another domain in which the company deals is the Oriental Health insurance Plan. The company is offering multiple products under this category starting from plans for individual to family. All plans are designed in a way that can offer wider coverage. An effective individual health insurance plan that offers the needful financial cover to the person of age group 18 to 80 years. It helps in dealing with an unwanted medical emergency that can leave a person emotionally and financially weak. The Policy term is one year and is available to any proposer between the age of 18 to 65 years for treatment taken in India. The proposer can also get his family covered (as defined under 2.1). Maximum Entry age for any member, is 65years however, this can be extended upto 70 years. In such case, an additional premium of 10% (including on all future renewals) will be charged on applicable rates, including on Optional PA cover. Sum Insured (SI) available from Rs.1 lac to Rs.10 lacs. Pre-existing diseases covered after four consecutive renewals. Family discount of 10% (including on PA cover) if more than one person is covered under the policy. 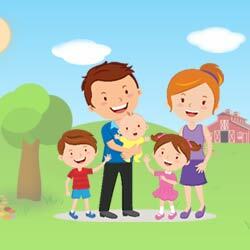 Happy Family Floater Policy is a complete health insurance plan for the entire family. This effective health insurance plan offers the needful medical cover to the entire family under a single insurance policy. It is one of the most effective health insurance plan which is specially designed for senior citizens. It offers coverage to the people who are above 60 years. Policy is available for Sum Insured 1 lac, 2 lac, 3 lac, 4 lac and 5 lacs. Discount in premium for opting Voluntary Co-payment. Group Mediclaim - A helpful health insurance plan that offers coverage to the entire group that can include family members, colleagues or someone else under a single insurance plan. This plan is comparatively affordable. The Group Mediclaim Policy will be available to any Group/Association/ Institution/ Corporate Body of more than 50 persons/families provided it has a central administration point. Each insured should cover all eligible members (insured Persons) under one group policy only. In other words different categories of eligible members shall not be allowed to be covered under different group policies. It is not permissible to issue any un-named group policies. The group policy will be issued in accordance with IRDA guidelines, in the name of the Group/ Association / Institution / Corporate Body (called insured) with a schedule of names of the members including his/her eligible family members as per the following definition. Focused on allowing the poorer sections of the society a medical insurance cover, this plan offers desirable sum insured at very low premium rates. This plan gives domiciliary hospitalization and hospitalization rates starting at a low Rs.70 for adults and Rs.25 for daughter/son under 25 years of age. Surgeon, Anesthetist, Medical Practitioner, Consultants, Specialists Fees. Anesthesia, Blood, Oxygen, Operation Theatre Charges, Surgical Appliances, Medicines & Drugs, Diagnostic Materials and X-Ray, Dialysis, Chemotherapy, Radiotherapy, Cost of Pacemaker, Artificial Limbs & Cost of Organs and similar expenses. N.B. : Company's Liability In respect of all claims admitted during the period of insurance shall not exceed the Sum Insured of Rs. 5,000/- per person. Overseas Mediclaim policy - is specially designed to offer coverage to you and your family when you are traveling or in a foreign country because of any reason. This plan ensures that you will enjoy the whole trip without any worries. It is a powerful medical insurance plan that gives insurance together with hospitalization, convalescence benefit – and cash advantage as well. Any individual of 18 years or above can take this policy for self protection and/or any of the family members. The group Mediclaim policy will be available to any institution/affiliation/ group/ corporate firm of more than 50 individuals. Each insured need to cover all eligible contributors (insured persons) underneath one group policy. The Nagrik Suraksha coverage is a plan that offers policyholders the possibility to offer desired coverage to their own family in case they lose the capacity to provide for them completely or temporarily. It is a coverage which offers advantages like a cumulative bonus, cover for the expenses incurred on child education and for loss of employment due to an accident. It additionally covers unexpected death of the insured or total or partial disability. 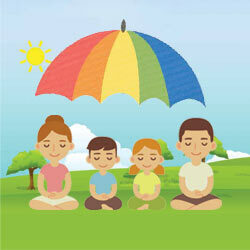 The Janata PA coverage offered by Oriental is a plan which can provide a sum insured ranging from Rs. 25,000 to Rs. 5 lakhs. Oriental travel insurance is in particular designed for those individuals that are frequent travelers or who are travelling for educational and business reasons. Oriental travel insurance offers a comprehensive coverage for you and your family whilst you are on a trip, locally or abroad. Travel insurance makes your journey stress-free and protects you from many risks and it can cover you in times of financial or medical emergencies that can incur all through your tour. You can additionally purchase travel insurance via on-line and also pay on-line through your debit card / credit card or net-banking. The policy covers the medical expenses and a cashless settlement is provided by the company. Commercial enterprise and excursion tour for individuals. Study policy for students applying for studies overseas. A house is your biggest asset and all steps are required to be taken to safeguard it. This customized coverage is aptly named as 'sweet home coverage'. This scheme is a version of the award winning homeowners´ package coverage provided by Oriental and entails three special plans and each plan having five sections. This policy offers compensation in the case of the insured sustaining injuries, solely and directly from an accident. 1. What Benefits Does Personal Accident Insurance Provide? It offers coverage in case of accidental demise, loss of limbs, permanent general and partial disablement as decided on and granted by means of the coverage policy based at the underwriting norms. 2. What Is Cumulative Bonus? If the insured individual does not go for any claim in the in the policy period, he's entitled to get 5% cumulative bonus for every such non- claim year upto a maximum benefit of 50%. 3. What is sweet home insurance policy? Sweet home coverage is package deal policy covering building, content, machinery breakdown of electrical/electronic items & personal accident cover for insured and spouse. 4. Will I be able to renew my policy online?